Abbreviated, intense workouts may help people of any age become healthier, a new study of old mice that ran on treadmills suggests. Although the experiment involved rodents, not humans, the study found that old mice can tolerate high-intensity interval training and rapidly gain fitness and strength, even if they start off frail and exercise for only a few minutes a week. In recent years, high-intensity interval training has generated considerable attention among exercise scientists and practitioners. In this type of workout, you perform repeated, brief bursts of very intense exercise interspersed with longer periods of easy recovery. The primary allure of high-intensity interval training is, for most of us, its brevity. A typical high-intensity workout lasts less than 15 minutes, including a warm-up and cool-down, but has been shown in multiple studies to provide health and fitness benefits that are the same as or greater than an hour or more of continuous and relatively moderate exercise. Much of the research into short, intense exercise, however, has centered on its benefits for healthy adults, usually those below the age of 50. One famous and still ongoing study in Japan recruited adults past age 55 and found that interval walking — in which volunteers stride briskly for three minutes and then slowly for another three — enabled the older men and women to improve their endurance and blood pressures to a greater extent than walking moderately for the same amount of time. 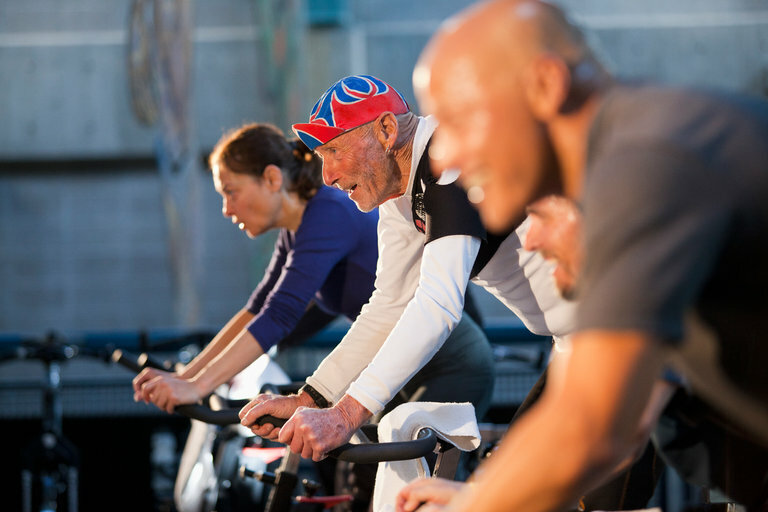 But that study focused on relatively gentle interval training by a group of relatively healthy older volunteers, leaving many questions still unanswered about whether older, more-frail bodies can successfully complete and respond to typical interval training workouts. So for the new study, which was published last month in the Journal of Gerontology A, researchers at the University at Buffalo decided to coax frail, elderly mice through a program of high-intensity interval running. They began by gathering mice that were the rodent equivalent of about age 65 in people. Until that point, these mice had all been sedentary. Some also were frail, according to a numerical scale first developed for people that considers weight, strength, endurance, and how often and rapidly the animals move about. The scientists tested the animals’ current health and fitness and then divided them into two groups. One, serving as a control, continued with their normal, sedentary lives. The others began a program of high-intensity interval training on little treadmills. Mice, even elderly ones, generally like to run but, if allowed to set their own pace, will usually stroll along at a moderate, jogging-style speed. The scientists wanted their exercising animals to strain more than that. So they ramped up the incline and speed of the treadmills. Ultimately, the animals would sprint uphill for one minute followed by a minute of walking, with that interval repeated four times. If the animals faltered at a given speed, the researchers eased off a bit, so that the program’s intensity was individualized and elastic but still high. By the end of the study, the mice were the rodent equivalent of septuagenarians. And those that had remained sedentary displayed the expected physical hallmarks of being that age. They had less muscle mass, strength and endurance than four months before and moved more infrequently and slowly. But the interval-trained mice seemed in many ways younger than they had been at the start. In particular, they were stronger; when pulled backward gently by researchers, they would cling to a bar longer than at the start of the study. They also had greater endurance capacity, as well as more muscle mass in their hind legs than the sedentary animals, and they scampered faster. Few now were frail. Perhaps most important, “the animals had tolerated the high-intensity interval training well,” despite their advanced ages, Dr. Troen says. None had found the effort impossible. Of course, mice are not people and their capabilities do not necessarily mimic ours. Anyone, whatever his or her age, who might wish to try high-intensity interval training should talk with a doctor first, Dr. Troen says, and perhaps look for supervised interval training programs at local gyms or Y.M.C.A.s. Some offer H.I.I.T. classes specifically aimed at older participants and led by instructors with training in geriatric exercise. This study also did not compare interval training to other types of exercise and so cannot tease out whether interval training leads to better health outcomes among older people than, for instance, long walks. But intervals do have that signature advantage, Dr. Troen says: “You get done so quickly.